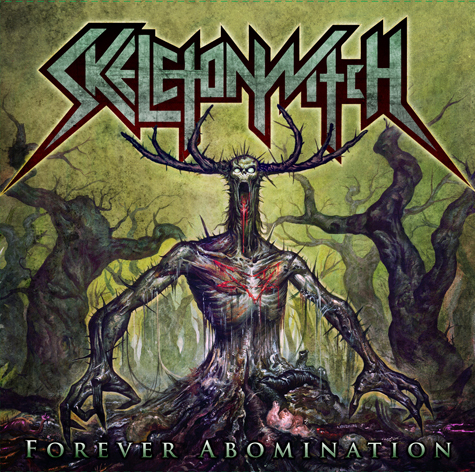 The metal band Skeletonwitch, who'd received a good amount of thumbs-up press in 2011 for their album Forever Abomination, released a video for the song "The Infernal Resurrection." Appropriately, as the video features live footage, Skeletonwitch began the US leg of their tour last Friday, March 23rd. Enjoy the video and check out the info which comes to you courtesy of Earsplit PR. The video comes courtesy of Metal Injection. Today Ohio metal titans SKELETONWITCH unveil their brand new video for “The Infernal Resurrection.” The song comes off latest album, Forever Abomination which cracked the Billboard Top 200, as well as Decibel's Top 40 of 2011 and finds the band doing what they do best: slaying ears in the live arena. To view the video, head over to THIS LOCATION.